I would first like to clarify that when people talk about the Ehwa shopping area OR the Sinchon shopping area, they are referring to the same area (as far as I know). 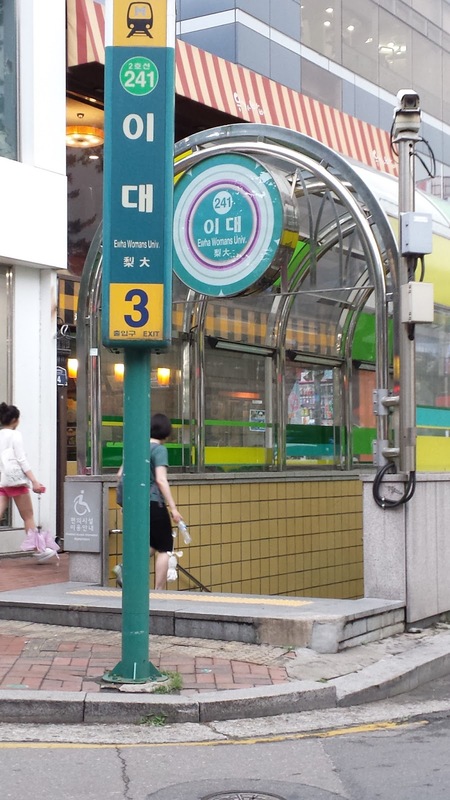 It’s the entire district between the Sinchon and Ehwa subway stations, hence commonly referred to either Ehwa (also know as “Ee-Dae” in Korean) or Sinchon. 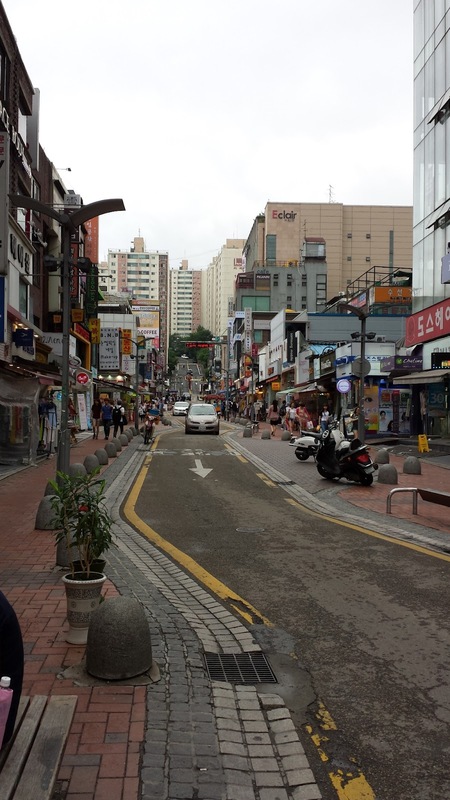 The Ehwa/Sinchon area is an area near the entrance of Ehwa Woman’s University. 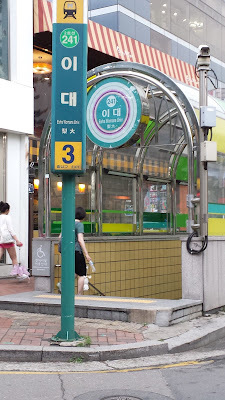 It’s no surprise by now that the subway stations are often named after the schools nearby… example: “Ehwa University Station” or “Hongik University Station”. 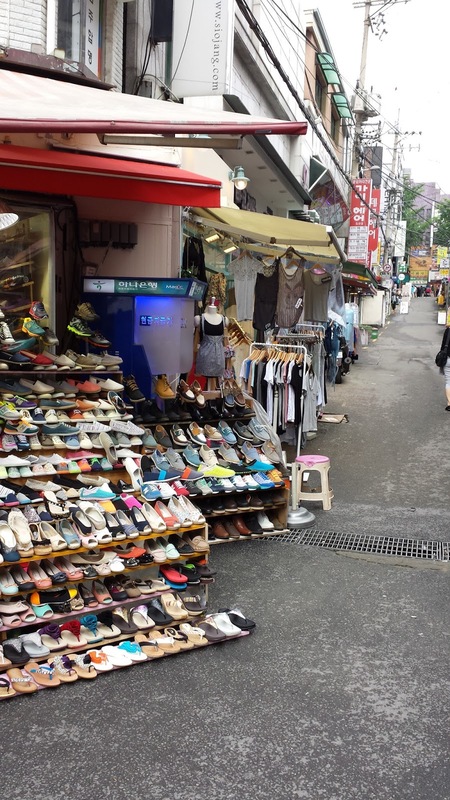 Although the buzz and popular shopping stretch is located nearer to Ehwa station as compared to the Sinchon station, it is possible to walk from Sinchon station to Ehwa station. 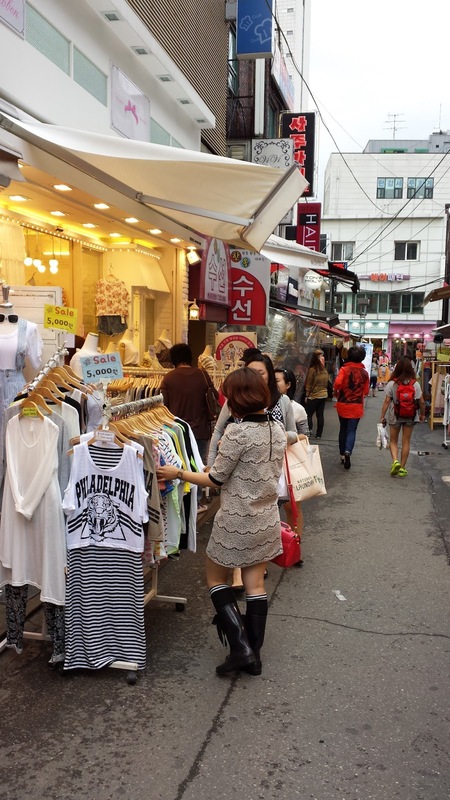 You will find some interesting shops along the way and watch the student culture (i.e. what uni students in Korea do after school, where they hang out etc.). So if you do have the luxury of time, do take a nice walk from Sinchon station towards Ehwa station. 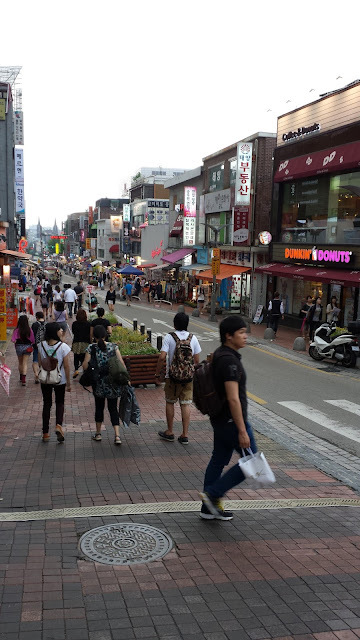 And if you observe the map closely, in fact, these areas are also super close to Hongdae, so for the free and adventurous, get off at Hongdae and walk to Ehwa. Here are some snap shots to the streets of Ehwa/Sinchon. Exit via exit number 3 and to you right, you will see a stretch of shops. 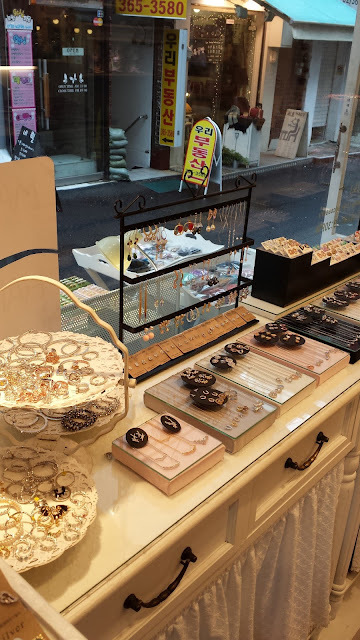 The later you go the more lifely it gets. So anytime from 3 or 4pm will be a good time as the street hawkers will start setting up their mobile "shops" selling accessories, food etc. along the road - Think the timing students get dismiss from school and you could better predict the "happy hours". 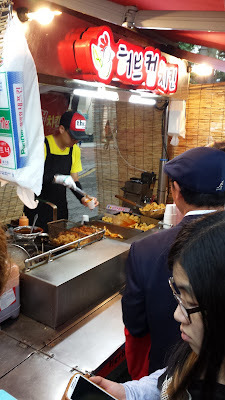 Here is a random fried chicken stall - must try! 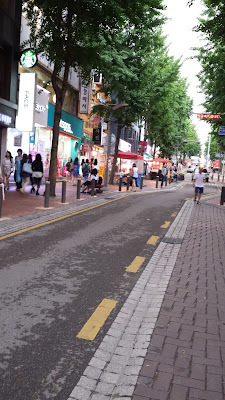 Walk down this stretch of road though it looks pretty boring, cos at the end of this, you would need to turn left and hit the perpendicular street where the happening shops are! 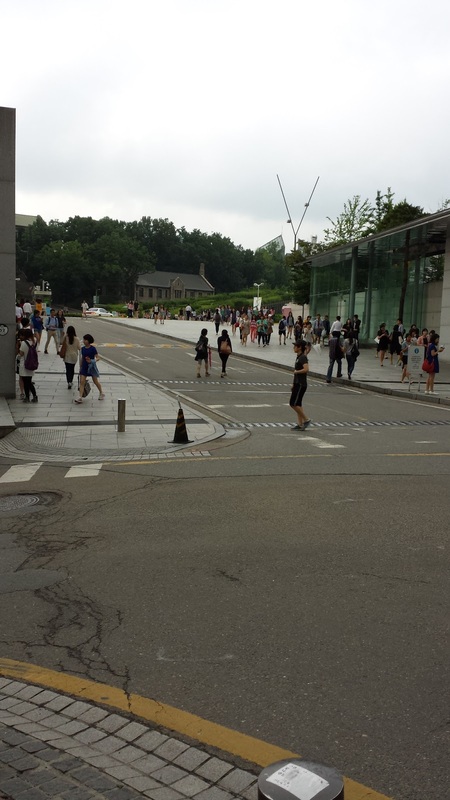 You shall end up at the entrance of Ehwa University and here is the junction where you turn left into the more happening shopping street. 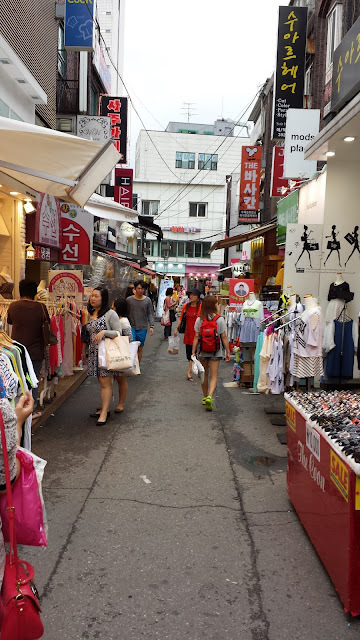 So this is thge street where you can find some nice stuff, keep your eyes open - this place is also known as Sinchon 女人街 (Nu Ren Jie). You may want to focus on shopping at the accessories and fashion shops to maximise your time there. While this street on it's own doesn't seem like a long stretch, there are many many perpendicular lanes connected to this main street, so wander into those lanes and you will find a variety of different fashion items. 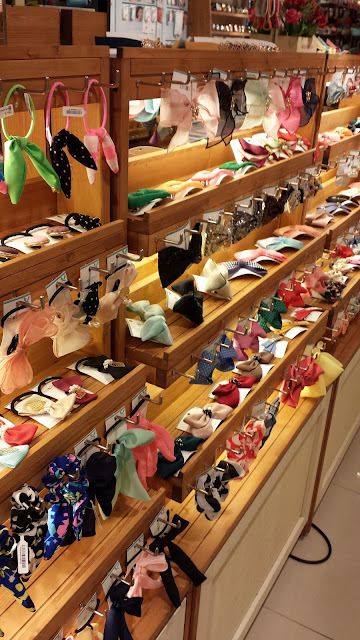 Managed to sneak a shot whilst shopping in one of the accessory shops. 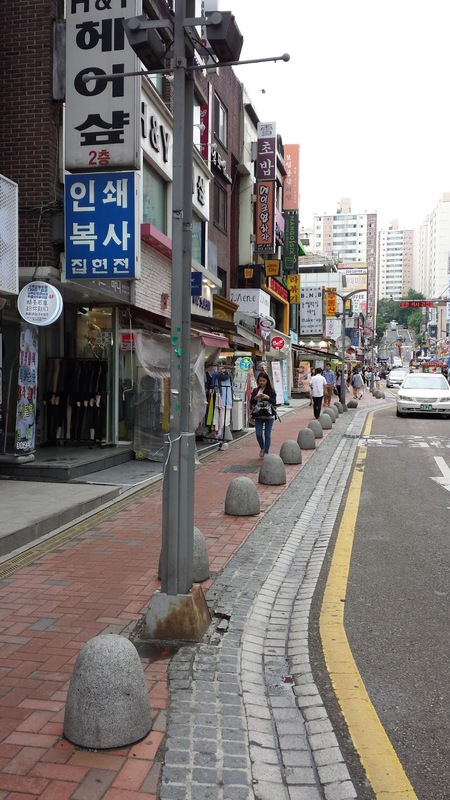 A shot of the little lanes i was referring to earlier on. Enough said, have fun shopping!